We celebrate our #veterans… again! We all know they deserve more than one day out of the year! Trivia time: Did you know that the USO will also help your spouse transition when you have to relocate? Bryan Burt is a USO Pathfinder Site Manager and he shares more services the USO provides that you probably didn’t know before. Listen right now! Josh: Good Sunday morning, Jacksonville. My name is Josh McCarthy, here with News 104.5, WOKV. And I want to welcome you to another weekend of the [Assee 00:00:06] Experts Weekend. And this expert show is dedicated to the workforce of today and tomorrow. Pete, the job guy, Langlois introduces his listeners to Jacksonville’s most innovative companies, and he explores the career journeys behind some of Jacksonville’s top influential individuals. And this is all done, all of it, with an honest and entertaining filter that is unique to Pete Langlois. The hard worker himself. Take it away, Pete. Pete: Good morning, all you hard workers. Man, welcome to this Sunday morning. I hope you got up, had a big old cup of coffee sitting there right in front of you, you already put the dogs out, walked them, you don’t put the cats out. You put the cats out, they don’t come back, right? They just walk around, maybe they’ll come back later when they’re hungry, I don’t know. But the dogs are dependent. It’s a much superior animal, dogs are to cats. And I know I’m gonna get some hate mail on that one, but bring it on. Pete: Alright, guys, if you listen to the show, you know this is where I say, if you’re old school like me, grab a pen, a pencil, and a piece of paper, and I want you to jot down some notes. If you’re new school like my millennial co-host Arren over here, get your thumbs ready, and get your whatever handheld device du jour you have and take some notes that way. Pete: The notes I want you to take are something you’re gonna commit to do differently as a result of the time you spend listening to the show. Why? Because it’s for your own betterment. I’m gonna give you some advice, some career tips. We’re gonna talk about some things, and if you decide, hey, I’m gonna put these things into action, it’ll only be for your benefit. So make sure you do that. Pete: Guys, it’s a special show today, got a great guest, but I’m gonna start off with this. And I’m gonna tell you, what I say next is so important to me, it’s so important to my family, and it’s so important to every American. What I’m about to say is, I pledge allegiance to the flag of the United States of America. And to the republic for which it stands, one nation, under God, indivisible, with liberty and justice for all. Those words mean so much to me. I’m gonna tell you what. Pete: I was at my daughter’s soccer game last night at Providence. And even though she’s in the 9th grade, and she kind of played center fluid and scored a goal. Go Lindi! When they played the national anthem, I looked at that flag, I put my hand over my heart, and tears came to my eyes. I mean, to be an American means so much to me. To have my vote count, I voted. And anybody that didn’t vote, guys, you gotta get in the game. You have no excuse. You’ve got a voice, you gotta exercise it. Pete: But I’m proud to be an American. And beyond the fact that I’m an American, I’m a veteran. I’m a proud veteran of the United States Navy. I was in for seven years. A lot of you know my story. But I’m gonna tell you what, we just had veterans day last week. And I couldn’t really make a big to-do about it, because we had guests lined up. But today, I want to talk about veterans, and it’s important. And I think everybody has to know what veterans day is. Veterans day originated as armistice day, and this is where we celebrated the end of all the violence in World War One. Pete: And when we finalized the end of it, it was on the 11th hour of the 11th day of the 11th month. November 11th. So regardless of what day November 11th falls on, that will always be Veterans day. And veterans day was changed, I think, in 1952, from armistice day to veterans day, to honor all military veterans. So I know a lot of people say thank you for making the ultimate sacrifice. A lot of people died in defense of this country. And that’s memorial day. We memorialize them. Veterans day is reserved to say thank you to all veterans for their service, and for protecting the very freedoms that you and I enjoy every day. Pete: So when I breathe in this air, I have to thank all US military servicemen, present and past, for giving me that. And you can’t see Josh right now. Our producer Josh is standing up with his hand over his heart. He’s so inspired to do that, and he is saluting all you veterans, too. So happy veterans day last week, but I wanted you to know, the personal significance is, my grandfather was in the Navy, my dad was in the Navy, I’m third generation Navy, and the Navy did a world of good for me. Took this mixed up kid and put me on a path to understand attention to detail. Sense of mission. Unquestioned reliability. The Navy gave me that. And they also paid for my college while I was in. And after my second term, right at the end of my second term, I had my bachelor’s degree, and I was starting on my master’s degree. Thank you United States Navy, because I had zero student loan debt. You hear that? Pete: So happy veterans day. Last week, guys. You’ve just been educated if you didn’t know the meaning of veterans day. And to the world famous Arren Mills, let me ask you this. You have any veterans in your family? Pete: That’s right, that’s right. That’s good. Did you thank him? Arren: Yeah. He’s actually retired in the Philippines. Arren: I’m sure, yeah, I’m sure he’s having a great time. Pete: Well, speaking of veterans, we have a great guest today. Today, our guest is Bryan Burt. Bryan is the site manager for the USO’s pathfinder program. Bryan, welcome to Hard Worker with Pete the job guy. Bryan: Glad to be here this morning. Great to be here. Pete: First of all, thank you for your service. Pete: And tell us a little bit about your service. Let’s talk about you first, and your connection to the military. I understand you were in the military for quite a while. Bryan: I did. I started off, actually, traveling to the United States Naval Academy, and started my career as a naval academy plebe, July 6th, 1984. Arren: My grandpa went to the Naval academy. Arren: Yeah, so, woo hoo! Bryan: And I was a naval flight officer in the P3, and had a great time doing that. I started my career out in Hawaii, which I always say, if I could start my career and end my career in Hawaii, it’s a great deal. Pete: Oh. How was the ending? Arren: I have no idea. Pete: [crosstalk 00:07:01] We were chatting a little bit. And NAS Jacksonville, when I was first stationed in Jacksonville, I was stationed in Cecil Field, and I worked on A-7E Corsairs out there, which are decommissioned or old. And I was attached to the Saratoga, which is at NAS Mayport, and decommissioned. Pete: I worked on the engines to keep them so you could come out and fly them. Bryan: I was actually in VP30, I was actually the power plant’s division officer. Bryan: So I spent my time working out with you guys, and supporting you all, and learning a whole lot from what you guys did, and you taught me a whole lot. Pete: It was a symbiotic relationship. Pete: So interesting. Please, take us right through the rest, I didn’t want to interrupt. We have that in common. The dates didn’t align, but we shared the same squadron. Bryan: Yep. Also did my time on the Harry S Truman of CBN75. I was actually a plank owner on the Harry S Truman. That means that I helped basic commission it, and was part of that whole process. Pete: I take it you’re a shellback, of course. Bryan: Did that. It was part of the whole program. Arren: What does that mean? I feel like I don’t understand any of this stuff. Pete: Okay, tell her, you tell her. Bryan: Basically, it means that we crossed the equator on a ship. Pete: And you’re a pollywog until you cross the equator, and then you become a shellback, and there is a magnificent ceremony. Arren: Interesting. Pollywog and shellback. Pete: It’s crazy. It’s like this big initiation fun thing that you do, and it takes a whole day. But you get a beautiful certificate. I still have mine, and I’m proud of that. Bryan: I actually have my great uncle was also in the Navy. He was part of the USS Iowa. And he was actually there in Japan when they signed the, next door to him was Missouri, and they signed the armistice with the Japanese there. Bryan: And my uncle has a certificate for that. I have it in my office. The actual certificate that he got when he became a shellback. Arren: You have history in your office. That’s amazing. Pete: That is so awesome. You did the aviator role, fantastic, academy grad, you had Navy. Anybody else in your immediate family military members? Bryan: Definitely. My dad served in the Army in the 1960s and was over stationed in Europe. Met my mom there. She was in Germany. And so, that was a great connection, and my brother is actually also a Marine. Arren: Are you kidding me? This whole family. Bryan: So he did 23 years in the Marine Corp, and did an awesome job, there. Pete: Your wife too, if I’m not mistaken, right? Bryan: Well, she’s a Navy wife. So she’s the hardest job in the military is the Navy wife. So my wife has been with me 20 years in the Navy, and so we’ll talk about this a little bit today. But just the difficulty that the spouses go through, and every single, over the 20 years that I was in the military, 14 years, 14 different moves, through that whole time. Pete: Right. That presents its own bag of tricks, and we’ll talk about that. First, let’s talk about, let’s go big picture. What is the USO? Bryan: The USO is an organization that’s been around for 77 years, helping the military in what I call the transitions. Every time you start your military career at MEPs, you’re about to go into the boot camp and things like that, USO is there helping them. Every time you transition from duty station to duty station at airports and different locations, the USO is there. We’re there to help support the military, the military members and their families. Locally, here, we have the USO at Mayport, also in Jacksonville, and we also have a USO center at the Jacksonville airport as well. Bryan: And again, just a place for the military to hang out, to use the WiFi, just to connect, and different things like that. Pete: And as I recall, on the Saratoga, we used to also have USO shows come out. They would sponsor, bring stars out, come out and sing and dance. Bryan: Yeah. So recently, they had the biggest USO show that was ever done, it was televised, and it was the Florida Georgia line was playing, and they had an incredible time to celebrate in that, and it’s the USO’s legacy, basically. And you’re right, wherever the military is deployed, overseas, we’re able to connect the singers and the actors and stuff like that to go over to see our military overseas. Pete: You know, it’s tough when you’re away, you’re away from your families, you’re away from America, they bring a little bit of America to you. Arren: Yeah, a little piece of home. Pete: And you need a break. I’m just telling first-hand experience. And we looked forward to it so much, and they do, it was really special, and it kind of connection you back with the states when we were deployed abroad. Bryan: Yeah, I was deployed to Japan and Kadena, Okinawa area, Kadena Air Force Base. They had, right across the street from us where we were barracked, there was a USO senator there. And again, just a great connection, like you said, a place to go and to relax and to connect with the other people. But also, they had USO, basically, places to go and see while we’re there, and things like that. Pete: That’s great. That’s great. Well, now, let’s talk about, you are the site manager here for the Pathfinder program. Pete: What is the pathfinder program? Bryan: I love it. I started this job about six months ago, and we actually have been up and running for about two months, working with military members. This is a program that is geared for the transitioning military member that’s 12 months prior to them getting out, to 12 months after they get out, helping them transition from the military. Not only just finding employment, which is important, but also looking at a whole host of other issues, like education, financial readiness, VA benefits, all those things. Bryan: And on top of that, we’re helping that transitioning spouse as they get, as they are transitioning every single time they move, they’re transitioning, we’re helping them also find new networks and employment as well. Arren: That’s something I was gonna ask. So you mentioned Navy wives earlier, and it sounded like you have a program for also the spouse in the relationship. Can you go into a little bit more detail about that? Bryan: Yeah, definitely. Again, I remember the first time that we moved out to Hawaii. My wife and I got on island on December 3rd. I was on deployment January 9th. Arren: Who do you talk to. Bryan: Who do I talk to, how do I plug into a job, how do I find … She wanted to get further education, so she was trying to get her master’s degree as well. How does it all work? And I would’ve loved to have her have the USO pathfinder program at that time. Arren: Right. And they sit down and talk with her as well, as they’re talking with you, and you kind of find their paths for what they’re gonna do for however long they’re gonna be there. Bryan: What I love about the USO pathfinder program, both for spouses and also for military members, is that we sit down with them one on one. It’s a one on one relationship. I want to understand your needs, your issues, the things that are keeping you up at night. The issues that you need help with to make that transition happen. And so, every single case is its own case, is its own situations. We want to sit down with them one on one, talk about what their issues are, and then, connect them with great resources that are gonna help them succeed in that transition. Pete: Well, that’s different than traditional military kind of out … Okay, you’re getting us, here’s a military transitional class. Pete: -and more detailed. Is that the significant difference between the two? Bryan: Yeah, I think so. So transitioned program at all military sites are great. They do a lot of things for the military. We’re not here to replace that at all. We’re here to piggyback on what they do, and try to help the military member take all the information they got. Basically, they spend five days in a class and get that fire hose effect. Arren: Downloaded all the information. Bryan: Here you go, all the stuff and information, here’s all the information you have, all the resources, all the things you’re supposed to do. Now what? What are you supposed to do with it? So we sit down with them, go through the whole gamut of transition type things, and then we sit down with them and build an action plan that allows them to have it right on their smartphone, and connect that action plans to what I call relevant and reliable resources. Bryan: Relevant, because you have tons of organizations. 46 thousand organizations that say they’re doing great things for the military. First off, who do you go to? Who do you connect with? And then the second thing, who do you trust? So going back to USO, it’s been around for 77 years. The military knows us, they can come to us and trust us that we’re gonna guide them to the right resources to do that. Pete: There’s nothing negative associated with the USO brand. Pete: It’s all positive, it’s well known, especially by military and ex-military people. But I think it’s a brand that’s known on a much broader scale than that, as well. Sorry to interrupt. Bryan: Yeah, definitely. So we were able to sit down with them one on one and make that connection, so they get some great information at the transition classes, and they just need to know what to do next. They need to take all that stuff, put it together in an action plan, and then be able to know where to find those resources that are gonna help them to get where they want to go. Arren: And just to put a number on the number of resources that you know, what is that number? Pete: Yeah, I was gonna say, Jacksonville, you have two major military bases. There’s gotta be a lot of transitioning people, right? Arren: That’s a lot of work. Bryan: Yeah, we’re covering clients that, this morning, I got two clients that came in. One was in Tampa, one was in Pensacola. And we’re helping them in the transition process as well. Pete: As an employer and a former veteran, I’m gonna tell you some of the things that I see from veteran candidates. I do see that they show up on time, number one. We were talking about that today. We knew for a fact that you were gonna be here early. When Lieutenant Clements comes on the show, he’s here a half hour early, and I have to keep saying, “Lieutenant, please, you don’t have to come that early.” But you don’t want to be late, ever. So I see that reliability from the military folks. Pete: Attention to detail is another one. It seems consistent with military candidates. People that are transitioning out of the military. I mean, you’re taught from a very, you know, right from boot camp, your first thing is, hey, you have to fold your towel a certain way, and your gloves have to go this way. And at first, it seems foolish. These creases have to line up with these creases and line up with those creases, that line up with the other creases. But all that is detail. And if you get it wrong, you get a hit, or you become the company bug like I was, that you couldn’t seem to fold everything. But you learn attention to detail. Pete: So I see reliability, I see an attention to detail, a willingness to serve and go the extra mile, and these are things that are, it’s not unusual. It is usual. This is what you see, the overwhelming majority of the time. And as an employer in town, when I see the military background, I say, this is, let me talk to this person. They have a little bit more of a, they make them a little shinier and prettier and attractive to me as an employer. Pete: As a person that also runs a staffing agency, when I have a military candidate, I disclose that right away. Hey, I want to let you know, this person spent four years in the military. This person spent 20 years in the military. They’re transitioning out. What that means to you, Mr. Client is this person has the unquestioned reliability. Pete: This person understands discipline. This person understands the chain of command. This person is not afraid of hard work, and to roll up his or her sleeves, and to do that. So I say all that. When you’re helping them, these folks transition, are you also doing career placement, or are you putting them in touch with employers? How does that work? Bryan: Definitely. And the other thing that I would add to that list that you gave is a great list, but I also add the thing that we are leaders. Ever since the E4, making that jump, we are leaders. We’re taught how to lead people and to, and our leadership is not anything small. On the ship, it was easy for me to lead 100 people in an organization, in a squadron, 360 people that were under our command, things like that. So leadership is no small part of what the skills and abilities that a military person brings to the table. Bryan: But to your point, the idea of placement, we are definitely seeking military friendly organizations that want military members to be part of the organization, and we want to, again, sitting down with them one on one, talking about what they are looking for, then trying to place them with organizations that are willing to hire and want to hire those military members and or spouses. Pete: You know, that’s important. And I want to slow it down right here, because we want to give out some information. If you, listeners out there, if you’re an employer, and you’re considering, or if you’re hiring anybody, and you have positions to fill, why not hire a veteran? I mean, I would encourage you to hire a veteran. And Bryan, how can they learn more about your program, and how can they reach out to you, perhaps, and sign up as a military friendly organization that would like to see transitioning military candidates? Bryan: Definitely. And the way to do that would be, to find more about pathfinders, it’s USO.org/pathfinder. And then to contact me locally here is just Burt, B-U-R-T, @uso.org. You email me, tell me a little bit about your organization, I’d love to sit down with you, talk with you about that, see what you do, and then look for ways to connect our military and our spouses to you. And make that happen. Pete: Good. And guys, if you want to get ahold of Bryan, feel free to reach out to me. Pete@petethejobguy.com. You go to my website and say, hey, I want to learn more of that, and I will connect you with him. Real easy, if you didn’t have time to jot everything down, you reach out to me, I’ll push it right out to Bryan. Pete: Bryan, one thing I love to ask my guests, and I know you listen to the show. And this is the point where I hit everybody, and I say, here you are, future Bryan. Had an exemplary military career, here you are, a site manager, helping transitioning vets and their families right now, military vets. Here you are, in a good spot. If you could go back to past Bryan, maybe 20, 21 years old, what would you tell yourself? What advice would you give yourself as a very young person? Bryan: Well, a couple things I would say. One is, and what I’ve learned all along, is that people matter. That connection with and caring for your people is job one for any leader. And to be able to harness that at a young age and learn that, and realize that your number one job in any organization, whether it be the Navy and or any organization out in the real world, is to take care of your people. And I would want myself to know that. Bryan: The other thing I would say is, enjoy today. Because it goes by quickly. It’s just amazing how, and it goes back to the family, balance, and all those things like that, that they’re important. I spent years in the military where I will tell you, I spent one year, I remember, where I never got to enjoy a holiday with my family. And I spent that away from the family. I didn’t have a fourth of July, I didn’t have Christmas, didn’t have anything. And just to enjoy those times with your family, and to have that life balance, is important. Because you’re never gonna sit back at your old age and say, you know, I really wish I would’ve spent more time in the office as a key thing. Pete: Yeah, you got that right. Pete: You know what. Guys, this is Bryan Burt, site manager for USO’s Pathfinder program. Bryan, we really appreciate your service, sir, and thank you for being a guest on Hard Worker with Pete the job guy. Bryan: I had a great time. Thank you so much, appreciate it. Pete: And that music right there tells us, it’s time to go to the bottom of the hour. You’re listening to Hard Worker with Pete the job guy. Pete: Welcome back, all you hard workers. Man, I hope you caught the first part of the show, ’cause Bryan Burt was phenomenal. And he gave us some great information about USO’s Pathfinder program, and you know how to reach out to him. If you can get ahold of him, or you’d like to get ahold of him, you can always reach me. Pete@petethejobguy.com, and I’ll make sure you get in touch with Bryan. Pete: And you know what? I think it’s time. Right now. My favorite part of the whole doggone show. This is where we get leadership lessons from coach Larry! Take it away, Larry. Larry: Last week on LinkedIn, I was asked about, how do you ask your manager for feedback when your manager won’t give you or doesn’t give you feedback? And that got me to thinking, well, it sounds like you need to give your manager feedback on the fact that you’re not getting feedback. So that’s the topic of today. How do you give your manager feedback? Larry: Now, I do a lot of 360s in my leadership workshops. And time and time again, the lowest rated item is, I asked my direct reports for feedback as a leader. So, it’s not natural for leaders, it seems like, it’s not natural for leaders to ask for feedback. Yet, there are studies that show that asking for feedback and being open to feedback is one of those things that will differentiate you as a leader. Larry: So if you’re in the situation, and you are in the situation where you need to give your manager feedback, here’s a couple of things that you need to consider. Well, three, actually. Number one, it starts with the relationship. So as always, we need to make sure that the relationship is built on trust. So on a scale of one to ten, to what extent do you have trust with your leader? Larry: If you have a high degree of trust, then chances are, you will be successful in giving your manager feedback. If you do not have trust, then I encourage you to focus on building trust first. Second, it’s best when you are invited to give feedback to your manager, but in lieu of that, consider asking your manager if he or she would like some feedback. So it might sound awkward if you say, hey, I have some feedback, would you like to hear it? That’s not too awkward, but, you might want to say something like this. Larry: Hey, Gary. You just gave the presentation at the staff meeting. I noticed some things that I think could make the presentation even better. Would you like to hear it? It’s doubtful that anyone’s going to say no. And, you’re showing the manager what’s in it for me. So I would encourage you to say something like that when giving feedback. Larry: Then the third thing, I want you to think about giving feed forward instead of feedback, and this comes from Marshall Goldsmith, and I’ve read every one of his books. And so, feedback is taking a look back at what that person did, and what was the impact of their behavior. Could be something like, at that meeting, you slammed your pencil on the table and made a face, and people stopped contributing. So that might be a little bit challenging. That might be taken as a challenge by the manager. It might be a little bit difficult to swallow. Larry: But, if you turn it into something looking forward, in other words, what would make the meeting even more effective moving forward, and you focus on that. Then, chances are, your feedback, or your feed forward, in this case, will be more readily accepted. So, you might say something like moving forward, I think it’s important that you, as the leader, hold back your opinions, whether it’s verbally or with body language before everyone gets a chance to speak. And I think you’re going to find that people are going to be more open and sharing about their ideas. What do you think? Larry: So that’s my tip for today. Three things. When you want to give your manager feedback, and you know you will, first of all, check how much trust you have. If you don’t have trust, then it’s gonna be difficult, and work on trust. Second, invite yourself, or be invited to give the feedback. Don’t just surprise them with the feedback. And number three, practice using feed forward. In other words, moving forward, it would be even better if, and then, of course, ask them, what do you think? Larry: So, go out there, give that feedback. I can remember many times as a subordinate, giving feedback to my leader, being nervous, being scared, but I will tell you, it changed everything. It changed my relationship, having the courage to say what others would not say. And, make your work life better. Larry: So reach out to me, send me an email. Lobrien@mendozaandobrien.com. Go to my website, mendozaandobrien.com, or just connect with me on LinkedIn. Thanks, everyone, and we’ll speak next week. Pete: Well, thank you very much, coach Larry. Every week, that’s the segment right there where I hope you did take some notes, ’cause Larry is educating us. He’s taking us to school. Taking time out of his busy schedule to help us. Arren: Last week I was your first. Arren: I don’t like these rankings. Pete: It’s my fourth favorite part of the show right now, is this is where we’re gonna get the world famous Arren Mills to give us our Jack’s Facts! Take it away, Arren! Arren: Thanks, Pete. I’m Arren Mills, and this is your Jack’s Facts. So I actually have a couple, but it goes under the theme of Jacksonville was the first Hollywood. Arren: So the Creature from the Black Lagoon is a movie, and it was shot in Jacksonville. Pete: I didn’t know that. Arren: Yeah, well, I don’t even know that movie. It must be around when you were born. Pete: Yeah, well, several decades before you came around. But go ahead. Arren: And, because it was one of the first Hollywoods, it was known in the 1910s as the winter film capital of the world. Arren: Yeah. We were put on the map back then. I don’t know what happened. Pete: Is this after we started as Cowford, Florida? Arren: I think so, so 1910s. And during that decade, well over two dozen silent film studios opened in the city. It was a major film center before Hollywood became the main player in that business. So isn’t that awesome? We were famous because we were a mini Hollywood. Pete: That’s awesome. Wrap it up now, go ahead. Arren: I’m Arren Mills, and that was your Jack’s Facts. Pete: Woo hoo! I liked that. That was a good one. Arren: Telling me how to do my job. Pete: I had no idea. Now, there were some other films that were filmed in Jacksonville. Other movies. Pete: Twilight? What the hell? You’re in the Twilight Zone, I think what’s happening. Pete: You know the guy, what the heck is his name. He played Phoebe’s little brother on Friends. He was also in Avatar. He was like the bad guy in Avatar. Arren: I don’t know his name. Pete: He was the guy that lead the whole operation in Avatar. Short guy. But anyway, I’ll think of his name in a second, ’cause he’s got a different name. If I know Josh, Josh is probably looking it up right … Yeah. Giovanni Ribisi. Josh is awesome. He’s a producer extraordinaire. Pete: Okay, so I go in on a Sunday, this is years back, to the ale house. And this is on the south side ale house. And who’s sitting at the bar, but Giovanni Ribisi. Arren: Are you kidding me? Pete: No, no, he has a very, very distinctive look. You know it’s him. He’s a smaller fellow, but you know it’s him. Look at his picture right here, see? Pete: I walk up, and I introduce, hey, I’m Pete, he says, hey, I’m Giovanni. I said it’s good to meet you. He was filming a movie here in town. Pete: Oh, but you know, wanna hear the rest of that story? Arren: Yeah, tell me. You bought him a drink. Pete: It’s kind of funny. I wasn’t working the next day, I wanna be clear about this, and this is going back about … whatever movie was filmed in Jacksonville that he was in, you can look it up and figure it out. Pete: But I’m gonna say it’s at least 20 years ago. Maybe something like that. Maybe less than that. 15 to 20 years ago. Pete: And Josh is looking it up, of course, because that’s what a producer extraordinaire does. So I see him, I introduce myself to him, and he was going through a little bit of a life change. He was telling me a story, he was getting divorced at the time. And he had a penchant for tequila, as did I, at the time. So as we’re chatting, he says, would you like to do a shot of tequila with me? Arren: Just a shot, not even a margarita? Pete: Because we had a beer to wash it down with. So had that tequila shot. Arren: At what time? Do you remember what time this was? Pete: Oh, this was in the early afternoon. This is some time around two o’clock. Pete: So we drank that one, and then there were several others, in relatively rapid succession. I mean, it wasn’t like, you know, hey, let’s race. But we did drink a lot of tequila. So by the end of the day, Giovanni and I, well, we were buddies, man. I heard his life story, he heard mine, and we were yucking it up and laughing, and we both, two taxi cabs in different directions, and that’s my Giovanni Ribisi story. Arren: Oh, cool. I think it’s all fake, but. Pete: You know, that’s not true. My story was true. Pete: Okay, Josh has it right here. What’s that? Basic was the movie that he was filming, and it was filmed … Can you see, Josh, what year it was? 2003. So let’s see, 15 years ago. Okay. So that’s what had happened. Giovanni, shout out to you. I know it’s been 15 years, but it’s me, Pete the job guy. Pete: Alright, you know what’s good? Guys, this next segment is back by popular demand. If you guys, if this is your first time listening to the show, and you haven’t heard Boston Danny yet, you’re in for a special treat. Because this is the part of the show, get ready, ’cause you’re gonna learn some facts about Boston and the surrounding area. He likes to talk about the local vernacular, as he says. He’s gonna give you some terminology that they use up in Boston that’s unique to that area. And he always gives us a couple of facts, but I’m gonna tell you what. If you don’t laugh during this segment, you don’t have a funny bone. Pete: Take it away, Boston Danny. Danny: Good morning, Peter and Arren. Danny from Boston, coming back at you. I guess I’m becoming a regular, just like at Dunkins. A large regular, hot. Because seriously, there are Dunkin Donut shops across the street from each other up here. We call it an obsession. Danny: You know, a few other uniquely Boston terminology I can give you for your listening pleasure. What we call elastics, everyone else calls rubber bands. And in Florida, it’s a shopping cart. Around here, it’s a carriage. And a cruiser is a police car. Even our town names in Massachusetts can be tricky, so don’t even bother trying to spell Worcester, or Gloucester, or Billerica by sounding them out. It won’t end well for anyone. Danny: Bowling is a little different here than in most of the country. Out here, we candle pin bowl. Still three balls, but they’re smaller and lighter. Kind of like a skeeball on steroids. And the pin are thinner, and they aren’t cleared away between throws, so you gotta play the angles. Knock the wood around. Danny: And another fact around here is, when booze is required, we take a trip to the packy, not to the liquor store. We named it for the packages that the liquor comes in. And also, if you order a tonic in Boston, you’ll end up with a Coke, not a fizzy water. Thus, if you’re ordering a vodka tonic at the bar, make sure to say tonic water, if that’s what you want. Danny: You know, up here, we are aware of the New England four seasons. Almost winter, winter, still winter, and road construction. We consider anything less than a foot of snow just a flurry, and all the potholes just add excitement to our daily commute. Can you guess it’s getting colder and snowier in my neighborhood yet? Danny: So I hope this helps all you Jacksons understand where I’m coming from, and can help translate a little New England slang at the southern charm. Alright, Peter and Arren, brothers and sisters in Jacksonville, I’ll talk to yous next week. Danny’s here. Pete: Holy cow. Danny, that is hilarious. Everything he says is hilarious. The delivery, the deadpan, stoic, you know. He’s Danny from Boston. He just throws it out there. Arren: And thank you for saying sisters. Pete: Yeah, the brothers and sisters down here. Arren: Love it. Thank you, Danny. Pete: But Danny, keep it up, dude. Boston Danny is gonna be a regular on the show, and he cracks me up. If it doesn’t make you laugh, I don’t care, it’s my doggone show. He makes me laugh. Pete: Arren, I think it’s probably a good time we get some mail bag deal. Why don’t you get one? What do you got? Arren: So, ooh, this is interesting. Dear Pete the job guy, what is the best way to ask for a raise? Arren: Signed, Mr. Poor, from Mary Hill. Pete: Mr. Poor. You’re not worthy of that raise. Stop asking for one. You keep hitting me up, what’s the matter with you? Pete: Hey, listen, what’s the best way to ask for a raise? A raise is done for two reasons. It’s either gonna be merit based, or time in the seat. Some companies, every, depending on what your role is, they’re gonna give you a year, an annual increase, and it’s usually three percent, is about average from what I’m seeing. Three to five percent. And they give you an annual increase, based on your tenure. Pete: So sometimes, it’s like clockwork, it happens, and sometimes, you have to ask for it. But if you’re ever asking for a raise, I always tell you, you speak from a position of power. You don’t kind of, oh, I want a raise. You do something to earn it. That’s why I say, it has to be merit based. If I go above and beyond, and I do it consistently. If I want a raise, I want to have earned that raise. Pete: Now, a lot of employers aren’t intuitive or just don’t realize, oh, I should probably give this person a raise. I probably should. So sometimes, you do have to point it out to them. But I always, hey, it’s usually if you can request a performance review, and then they realize, wow, they talk about your accomplishments. Oh, did you notice that on the ABC project, I did this? Pete: Or, my quota was exceeded each time. And it comes out, usually in a review, and if the boss doesn’t suggest a raise, that’s the time when you have a significant amount of positive contributions that would merit an increase. And it’s based on the things we just discussed. I think it’s time that my compensation is increase. And you do it. But I always like asking for something from a position of strength, or power. Pete: The other time a raise comes in is if you’re just not commensurate, your pay isn’t commensurate with your station at work. Meaning, you can provide evidence that, let’s say your job is an administrative assistant. And as an administrative assistant, you look through salary guide information, and the easiest way to get a salary guide, whether you’re an employer, or you’re somebody that’s in the workforce like all of us, you can just go to SNIcompanies.com and ask for a salary guide. Pete: Or, you can call us, and we’re happy to make sure you come by, and we get you one, and we can bring it out to you. But our number is 904-713-2550. That’s where Pete the job guy is every day at SNI companies, and we’re happy to give you a salary guide. And if you can demonstrate that you’re paid beneath what the average salaries are in your area, you have a right, provided you’re reliable, you’re doing the essential functions of your job to the satisfaction of your employer, you have a right to say, hey, listen, I’m looking at the average administrative assistant is making 23 thousand, I’m making 19. I’m below market. I like working here, I want to continue working here, I’d like for you to consider adjusting my salary to a position that’s commensurate with what my contributions are here. Pete: Mr. Poor. Well, okay, Mr. Poor, hopefully we’ll get you a little bit richer. Do you have another one from the mail bag? Arren: I do have another one, and this one is from Anxious Amy. And she kind of explains behind her question, but, what is an appropriate way to call out of work? I have a small team, and when I have something really important to do, I feel guilty, because my other coworkers call out frequently. Do I have to explain where I’m going to justify? I feel like that might be too personal. Help me, Peta. Signed, Anxious Amy. Pete: Oh, sorry, sorry. Amy, let me get your name right. Listen, it’s never a good feeling to have to call out of work. We get called out of work whether it’s an emergency, it’s an errand that we can’t schedule during our off time, you have to pick somebody up, your car is not working. There’s a whole host of reasons that happen. Any time I have to miss work, I deal exclusively in honesty. Pete: When you deal exclusively in honesty, you don’t have to fabricate anything, and the words just flow out of your mouth. The problem is, is you have to, she’s wanting to know, do I have to provide the whole reasons. To me, a brief byline without getting too personal is important. You don’t want them to insert the reason. Well, she’s probably going down to Disney or something, you know? I like to say, whether I have a very personal thing that I simply just cannot put off, I’m not comfortable discussing it, but it hurts me to miss work, ’cause I know that burden is placed on my coworkers. Pete: Sounds to me like Anxious Amy also has a problem with her coworkers frequently calling out. There’s an issue in that work. If people are frequently calling out, whether the attendance bar is set very low at that work, or they’re all millennials, or they just can’t seem to work a full week. What’s the matter with these millennials? Doggone it. No, no. Arren: I was in the middle of drinking. Pete: You almost spit that one out. No, I’m not harping on the millennials. I’m just saying. Some jobs, and I think Katie Zimmerman, who is a millennial expert, would attest to this one, and we’re meeting her next week for coffee. Good. Gonna be happy to see her. Pete: But I think she would attest that this is the proper answer. If we’re seeing a team that’s missing a lot of work, if the quality of their work wouldn’t suffer, and there was a way to work in some type of work force flexibility, I’d argue that this team might be more productive if they had some kind of a flexible work schedule, where maybe we come in at this time, work from home, do this. Because if they’re all missing work during that core time, are they making it up? Pete: -comfortable sharing information. And always try to have a backup plan. What do you think, Arren? Pete: Or you have to get braces. Arren: Or I have to get braces. Everyone knows that they operate the same business hours that we do. And so I tell Pete, you know, I have to miss about an hour or so, because of Evie. I’m going to her appointment. And then I’ll say, I’m gonna make it up, though, tonight. So it just helps me reassure Pete that I’m not gonna take the hour for free, that I’m gonna work that hour. Pete: Right, and you know, nobody likes to call out. It’s like, hey, I’m about to call somebody and colossally disappoint them. Or I’m gonna burden somebody with my responsibilities for an hour, two hours, the day. Unless you’re in a job where your contributions don’t matter, meaning you should get another job, if you’re not, then somebody else has to bear that burden. That’s just the way it is. And if you have a team, that doesn’t seem to care about each other, and it’s like every other day someone’s gone, man, it sounds like somebody at the top needs to kind of step in and set some guidelines down and some rules and kind of change things. Arren: Maybe talk to HR is what Anxious Amy should do, moving forward with her team. Pete: Right. You know guys, I like to remind everybody that I have the brand new batch of Pete the job guy tee shirts in. And these are good tee shirts. They fit great. And Nick, our program director, he sent me a picture, Nick Figueroa, sent me a picture of him and his son. Pete: Wearing, representing Pete the job. And I don’t mind him representing, ’cause I know he’s a hard worker. That’s the way it is. Pete: If there’s somebody at your work that is a hard worker, they come in a little early. They stay a little late. They’re moving at a pace that’s faster that Arren’s. I mean, come on. So if you want to recognize and reward their performance, whether it’s a coworker, it’s your boss, it’s a subordinate employee, it doesn’t matter. You send me a note.  Pete@petethejobguy.com, and I will send them one of these great tee shirts that says you’re a certified hard worker with the Pete the job guy logo right on it. Pete: If you’re an employer in town, and you need the help of a talent acquisitions specialist, you need a staffing agency to help you find talent, whether it’s a hundred temporary employees to handle your call volume going into the holidays, and you just need them for a month or a few weeks, or what have you, you call me. Pete the job guy. 904-713-2550. My team of fantastic recruiters at SNI companies will be happy to help you out. Pete: If you are looking for that next step in your professional career, or maybe you’re between jobs, and you just want to do temporary work, it doesn’t matter. Give us a call. 904-713-2550. We’ll be happy to place you. I have technology teams that place only technology professionals. So if you’re a dot net developer, or you’re a network engineer, software engineer, maybe you work on the old IBM I-series, it doesn’t matter. If you need a job, and you’re a technology specialist, or if you are a company looking for that technology that’s hard to find, you call Ben and his team over at SNI technology. Same number. 904-713-2550. Pete: If you’re a techie, you can talk techie to anybody in SNI technology, because they’ve been in the industry quite a while. Arren: Tech tech tech tech. Pete: I was happy to have Bryan on the show, Bryan Burt. Pete: He did a great job explaining the Pathfinder program for USO. USO helps all the military folks, and I know, as a Navy veteran myself, USO is fantastic place for me to go, depending on where I was when I was deployed. And also, just to see the USO shows, back in the day, too. They were fantastic. Pete: Let’s see. And I explained the meaning and the significance of veterans day, even though that was last week. Pete: Oh, wait a second. Do you hear that music, Arren? That music is telling us it’s time to wrap this up. I appreciate you spending your Sunday morning with me, Pete the job guy, on Hard Worker. I want you guys to have a great week, and go out and get them, hard workers. Bryan Burt, CDR, USN, Retired is the USO Pathfinder Site Manager for the Jacksonville area. Bryan graduated from the Naval Academy and served in naval aviation for 20 years. He served as a Naval Flight Officer on the P-3 Orion in three squadrons, as the Operations Admin on the aircraft carrier Harry S. Truman (CVN 75), as a Program Manager in the Pentagon, and Chief of Staff for Naval Facilities on Marine Corps Base Hawaii. Throughout his career, Bryan was also involved in three non-profit groups and has over 20 years of experience leading, facilitating, and teaching volunteers and serving on two executive boards. For the past 9 years, he mentored and coached college students and young adults at the United States Naval Academy. Bryan is a certified coach, teacher, and speaker with the John Maxwell Team and an executive coach and founder of True North Coaching and Leadership Development.